We are a Dubai-based, British and Emirati-partnered company. We specialise in Daimler’s most prestigious, past-and-present, automotive brands: Mercedes-Benz, Maybach and the McLaren SLR. With more than 50 years of Daimler brand and product experience, our handpicked team offers unparalleled service for you and your vehicle. We have invested heavily in our facilities and operate with manufacturer-compliant tooling and equipment allowing us to offer superior levels of workmanship at affordable prices. Philip and his staff are friendly and very welcoming. This is my first time dealing with them and so far so good. Absolute Professionals, Value for money, the best part is that they do not keep your vehicle on hold unnecessarily. Give it a try and you will never take your Merc back to another service station. Got to give them the highest rating. Super efficient and friendly staff. Recommended for all Mercedes owners.. Keep it up! 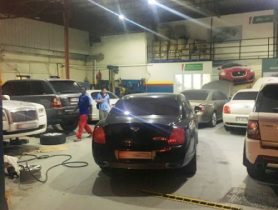 This a place I have been using from 2012 especially for my Mercedes S E and M Class cars I really enjoy the service that they give me and have no hesitation to send all my family and friends to this very warm and friendly place. Most of all the prices are considerably less that the official agents and especially when you cannot find a difference in the workmanship it is difficult to understand why anyone would want to pay more Hope you all use Silber Arrows and find out for yourself ! Good MB service for reasonable price. 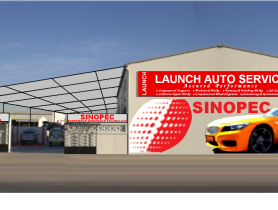 Car Service, Silber Arrows, Spare Parts, Spare Parts in Dubai, Car Repair Workshop in Al Quoz 1, Car Repair Workshops in Dubai, Dubai Workshps, Car repairs in Dubai, Workhsops near me, Car Service Center in in Al Quoz 1 Dubai, Mechanic Near me, Mechanic in Dubai, Car Repair Workshops.